Police find a mass grave containing at least 30 bodies. These appear to date from the days of rule by Sunni extremists in 2006-7, according to Reuters, and to be victims of sectarian violence. However, AFP gives the total number of bodies found as 33, and reports that residents say the violence began in early 2008, and continued for several months. The killings are not attributed to sectarian conflict per se, but to a "radical interpretation of Islamic law" by al Qaeda. Note: Al Qaeda in Mesopotamia is not to be confused with the organization led by Osama bin Laden and Ayman al-Zwahiri. Death toll in bombing of Sadrist mosque on Friday rises to 12, with 18 injured. Note: For some reason, perhaps the location which is a bit out of the way, this incident was not widely reported immediately. Musayyib is in Babil Province. U.S. had originally reported the death toll as 5. Iraq's top Shiite cleric has expressed concern about the country's security pact with the United States, fearing it gives too much power to the Americans and does not protect Iraqi sovereignty, an official at his office said yesterday. . . . The official at Ayatollah Sistani's office said the Iranian-born cleric did not believe there was a national consensus in favor of the pact and that this "may lead to instability in the country." And Sistani isn't the only one. According to McClatchy's Adam Ashton, other clerics criticizing the SOFA include not only Sadrists, and others associated with parties that opposed it all along, but also Ayatollah Muhammad al-Yacoubi of the Fadilah movement, which abstained. Iraq and Iran begin exchanging the remains of soldiers killed in the 1980-88 war between the two countries. The remains of 200 Iraqis and 41 Iranians were exchanged in a ceremony in Basra today; most of them are unidentified. Steven Lee Myers reviews some western reactions to the SOFA for the IHT. He finds that the lack of precision on key points, and the fractious political context, makes the future of the pact, and the terms and pace of U.S. withdrawal, highly uncertain. 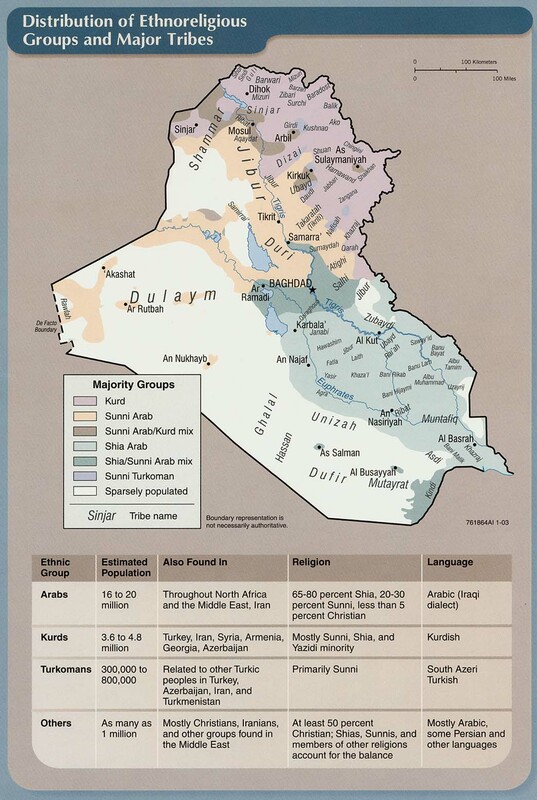 On the eve of the U.S. invasion of Iraq, about 30,000 Mandaeans lived in Iraq. In the face of the persecution and threats that followed, that number has dwindled to between 3,500 and 5,000, according to the U.S. State Department's 2008 report on religious freedoms. Hundreds have been kidnapped and killed. Most of the rest have fled for their lives, to Syria and Jordan, where they have applied for asylum in far-flung countries such as Sweden, Australia and most recently -- since the U.S. opened its doors to Iraqi refugees -- America. Scattered around the world in tiny communities, the chances that the religion will survive more than a few generations are slim, experts say. Mandaeism does not accept converts, and the children of Mandaeans who marry non-Mandaeans do not belong to the sect. I don't have to belabor the point; dozens of newspaper articles and books have been written about the misconduct that resulted. These interrogations were based on fear and control; they often resulted in torture and abuse. I refused to participate in such practices, and a month later, I extended that prohibition to the team of interrogators I was assigned to lead. I taught the members of my unit a new methodology -- one based on building rapport with suspects, showing cultural understanding and using good old-fashioned brainpower to tease out information. I personally conducted more than 300 interrogations, and I supervised more than 1,000. The methods my team used are not classified (they're listed in the unclassified Field Manual), but the way we used them was, I like to think, unique. We got to know our enemies, we learned to negotiate with them, and we adapted criminal investigative techniques to our work (something that the Field Manual permits, under the concept of "ruses and trickery"). It worked. Our efforts started a chain of successes that ultimately led to Zarqawi. Over the course of this renaissance in interrogation tactics, our attitudes changed. We no longer saw our prisoners as the stereotypical al-Qaeda evildoers we had been repeatedly briefed to expect; we saw them as Sunni Iraqis, often family men protecting themselves from Shiite militias and trying to ensure that their fellow Sunnis would still have some access to wealth and power in the new Iraq. Most surprisingly, they turned out to despise al-Qaeda in Iraq as much as they despised us, but Zarqawi and his thugs were willing to provide them with arms and money. I pointed this out to Gen. George Casey, the former top U.S. commander in Iraq, when he visited my prison in the summer of 2006. He did not respond. 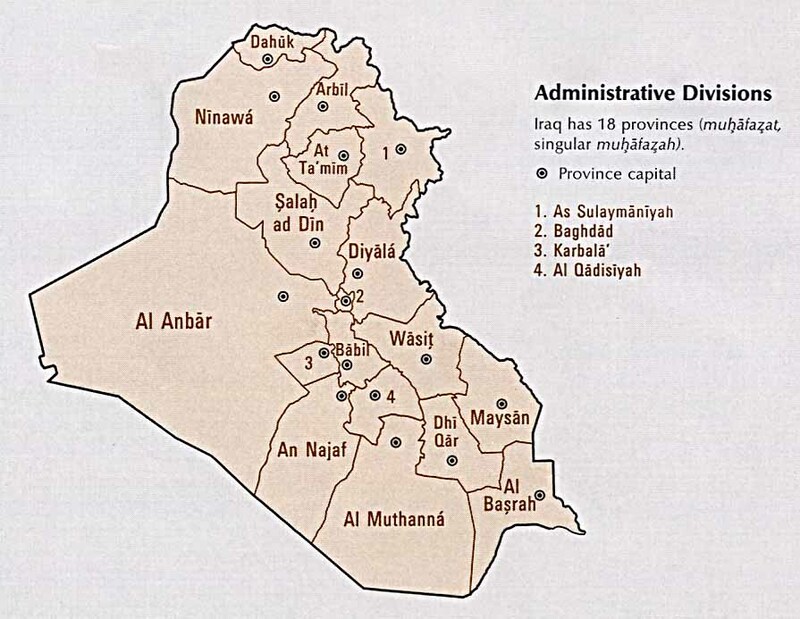 The Sunnis had long been alone in publicly accusing Al Maliki of monopolising power. Recently, however, some Kurds have started to repeat the allegation. The Kurds complained that the prime minister was violating the constitution by creating tribal “support councils” across Iraq ostensibly as a backup for security forces. Critics see the councils as a move to undercut rival political parties and gain patronage in the Shia south of the country. The quarrel came to a head last week, when the country’s three-member Presidential Council publicly berated Al Maliki and ordered him to disband the councils or find legal coverage for them. . . .
Al Maliki is already showing some of the trappings associated with authoritarian Arab rulers, something certain to be used against him in the run-up to the 2009 elections. He has exploited the dramatic drop of violence as a tribute to his leadership and coverage of his activities, even the most mundane, dominates the state media’s news. It is not simply Shiite groups such as the Sadrists who are opposed to the security deal with the US, as approved last week by the Iraqi Parliament. An overwhelming majority of the Iraqis want the US troops to leave their country as early as possible. To them the security pact is occupation by other means. They blame the US for the chaos and violence that has torn their country apart over the last five years. There will be those who argue cogently that the Al-Maliki government is a US puppet and that the Parliament’s rubber-stamping of the deal that will see the Americans finally quit in 2011, has been done at the behest of Washington and not the Iraqi people. 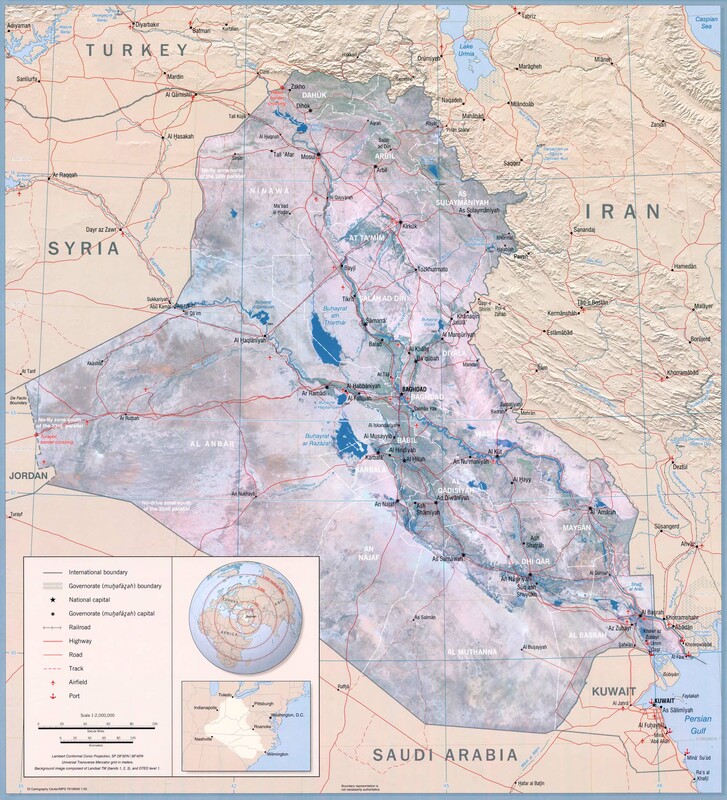 After all it was American prompting that caused Al-Maliki in 2007 to push for the UN mandate for the continued presence of Anglo-American troops. The mandate, to end this year, is to be replaced by a bilateral deal between Baghdad and Washington. And the Iraqi government knows that signing the deal with all its unfavorable terms is the only way to get the Americans out. . . . The second big test will be the referendum scheduled to seek the approval of ordinary Iraqis for the 2011 pullout timetable. If the Al-Maliki government doesn’t receive the approval it seeks, then it will have to reopen negotiations. Should this prove necessary, it will be a real test of just how independent the Baghdad government is. It would be encouraging to believe that given Barack Obama’s assurances that he favors an early US pullout, Al-Maliki would find himself pushing against an open door. Therefore the best hope for those who want the occupation over sooner rather than later will be a “No” vote in the summer. Suicide bomber on a bicycle attacks a vehicle of the German embassy in Kabul, killing two civilian bystanders, or 3, according to AFP. Possibly the discrepancy results from whether the attacker is included. -- C AFP also says the attacker was on foot, and places the attack near the Parliament building, so it is not entirely clear that the German vehicle was the target. U.S. claims to have killed 16 fighters of former PM Gulbuddin Hekmatyar's Hizb-e-Islami movement in Sarobi, east of Kabul. (Note that the Taliban and al-Qaeda are not the only targets of U.S. forces. U.S. claims to have killed a member of the Haqqani movement in Paktia province, which it says has been helping move members of the Islamic Jihadist Union, based in Uzbekistan, into the country. Byzantine, no? DPA reports that NATO forces killed an Afghan policeman in Helmand Province, in an apparent case of mistaken identity at a checkpoint. A passenger in the vehicle also died of his injuries. Instead of a Quote of the Day, I am linking to this list of Iraqi academics assassinated during the U.S. occupation, compiled by Pakistan Daily. I did not try to count them. Number of Iraqi refugees admitted to U.S. up sharply: 150 U.S. officials have been deployed to the Middle East to interview 23,000 Iraqi refugee applicants. The approval rate averages 70% to 80%, said Lori Scialabba, the services' associate director for refugee, asylum and international operations. Here's a typical propaganda article designed to mislead the public by the misrepresentation of facts. If you have the stomach to swallow this crap here's the link. #1: A rocket struck near a UN compound in the heavily fortified Green Zone today, killing three foreigners and wounding 15 other people, according to UN and military officials. The victims were working for a catering company that provides services for the United Nations but their nationalities were not being released pending notification of relatives, a UN official said. The official, who spoke on condition of anonymity for providing the information ahead of a formal announcement, earlier said three foreigners were killed but later corrected the number to two. #2: Tech Sergeant Chris Stagner, a US military spokesman, said explosives ordnance teams had determined Iranian-made rockets were used in the Green Zone attack as well as another strike late yesterday against Camp Victory, the main military headquarters on the western outskirts of the Iraqi capital. #3: Four members of the Iraqi police on Saturday were wounded in an explosion that ripped through western the capital Baghdad, according to a security source. “Today, an improvised explosive device (IED) targeted a police patrol vehicle in al-Ghazaliya area near Badr al-Kobra School, wounding four patrolmen,” the source told Aswat al-Iraq. #4: Three civilians were injured by an adhesive bomb stuck to a car of an employee in the ministry of interior affairs in Atifiyah neighborhood around 6 p.m.
#5: A civilian was killed and three others were injured by a bomb in Karrada neighborhood in downtown Baghdad around 7 p.m.
#6: Police found one unidentified body in Amin neighborhood. #1: A mass grave containing the remains of dozens of bodies was found in the northeast of Baaquba city, a local security source said on Saturday. “During the early hours of this morning, police forces found a mass grave in Albo Tema village, al-Salam district (15 km northeast of Baaquba), containing 30 decayed bodies belonging to civilians, including women and children,” the source told Aswat al-Iraq. #1: A rocket attack killed a child and wounded two women from the same family in the al-Zahraa residential area of central Kut, 150 km (95 miles) southeast of Baghdad, on Friday, police said. #1: U.S. forces killed four suspected al-Qaeda militants and arrested seven in an operation in Tuz Khurmato,170 km (105 miles) north of Baghdad, on Friday and Saturday, a U.S. military statement said. #1: Turkish F-16s waged an air raid Saturday at several Kurdish Workers Party (PKK) targets in northern Iraq, according to local media. Zaman online newspaper quoted a security source as saying the military planes shelled a number of locations used by the PKK in the mountainous region of northern Iraq.Moreover, land forces stationed at the borders fired rockets at the PKK positions. #1: Meanwhile, Afghan and coalition forces killed 33 militants when their patrol came under attack in southern Helmand province Friday, a military statement said. The troops responded to the attack with gunfire and air support, it said. #2: In Kandahar province, meanwhile, a three-day NATO-Afghan operation in Zhari district killed 12 militants, said police Chief Matiullah Khan. No police were killed in the operation, which finished on Friday, he said. #3: Police in western Farah province said they killed four insurgents setting up a makeshift base in a village, apparently aiming to launch strikes on Farah city. Residents of Raj, about two miles (three kilometers) north of Farah city, tipped off officials that a convoy of enemy fighters had arrived in the village, provincial police chief Gen. Abdul Ghafar Watandar said. Afghan army and police attacked the nine-vehicle convoy, killing four insurgents and wounding another three as other insurgents fled, Watandar said. An Afghan police officer was also killed in the gunbattle, he said. #4: Intelligence officials say a suspected U.S. missile strike has killed at least two people in northwestern Pakistan. The officials say Saturday's missile attack destroyed the house of a local resident near Miran Shah, the main town in the North Waziristan tribal region near the Afghan border. The officials say some people were also injured in the attack. They would not say whether any foreign or local militants were among the dead or injured. #5: update More than 300 militants attacked the Afghan forces' convoy, which was transporting 47 vehicles for their units in the Bala Murghab district of Badghis province late Thursday, said Naeem Khan, a border police official. Sixteen other Afghan troops were captured by the militants, who also took most of the 47 vehicles being transported in the convoy, said Abdul Ghani Sabri, the deputy provincial governor. Seven Taliban fighters were also killed, Sabri said. #6: Canadian troops pushed for the first time into a major Taliban stronghold during a multi-nation air- and land-assault that killed 21 insurgents but angered villagers. Hundreds of Canadian and allied soldiers stormed a series of compounds in the volatile Zhari district, shooting dead 15 militants and killing six more by explosion, in Operation Southern Vulture 2, a four-day manoeuvre that ended Friday. The NATO assault kicked off Tuesday morning, with a Canadian armoured convoy rolling out from a fortified base into the sandy bed of the drought-shrunk Arghandab River west of Kandahar City. At dawn Wednesday, helicopters dropped a Canadian reconnaissance team and British Royal Marine commandos into separate locations north of the Arghandab. Canadian bulldozer tanks cleared a road north from the river through mud walls, grape fields, and marijuana plantations, followed by armoured vehicles full of infantry troops. Sgt. Mark Meunier, 35, survived a double explosion and is dealing with injuries that have aged him decades. a National Guardsman who served in the Marine Corps. "I have a lot of fractures, injuries to my right knee, a torn ACL, injured shoulder." The double explosion — two roadside bombs detonated almost simultaneously — in Iraq in 2005 also left him with a traumatic brain injury and a level of rheumatoid arthritis that a doctor told him he had never seen in anyone under age 80. Meunier used to get 30 cluster headaches a day; collagen shots to his head have reduced those to about three a day. "I've had three knee surgeries," he said. "I need a replacement, but they say I'm too young. "They cut off my heel, moved it over and reattached it with screws. I have 6 feet of cadaver tendons in my leg and some in my right shoulder, with a nylon cord reattaching my bicep." #1: An explosion occurred on Friday morning near a U.S. base in Sadr City in eastern Baghdad, with no word on casualties, a security source said. “The blast took place near Sahet Hamza in Sadr City in eastern Baghdad,” the source told Aswat al-Iraq. “U.S. forces sealed off the roads that lead to the area and prevented civilians from approaching it, while U.S. choppers were seen hovering over the region,” he added. In Sadr City, a roadside bomb targeting a U.S. patrol wounded one person. #2: Some 9,000 people protested in Baghdad's Shi'ite slum of Sadr City after Friday prayers, burning a U.S. flag and holding banners reading "No, no to the agreement." About 2,500 people held a similar rally in the southern city of Basra. "I express my condolences to the Iraqi people on this grave occasion, in which they are harmed by the ... pact of shame and degradation," Sadr, whose militia has fought U.S. troops many times, said in a statement read to followers on his behalf. #3: Around 8 p.m. a suicide car bomb exploded in Al Tayaran square in central Baghdad killing two civilians and injuring 14 others. #1: A booby trapped house, 6 miles south of Baquba, exploded as Iraqi army soldiers raided the house early this morning, two soldiers were killed and three were injured. #1: Four Iraqi policemen were wounded on Friday when an improvised explosive device went off northeast of the city of Baaquba, an official security source in Diala said. “The IED targeted a police patrol inside al-Saadiya area, Khanaqin district, (155 km) northeast of Baaquba, leaving four policemen injured,” the source told Aswat al-Iraq. #1: A suicide bomber detonated his explosives belt in a line of Shiite worshippers near the entrance of a mosque south of Baghdad during Friday prayer services, killing at least nine people, Iraqi officials said. The attacker struck around noon while waiting in a line to be searched outside the mosque in Musayyib, a police officer said, speaking on condition of anonymity because of security concerns. Friday's suicide bomber struck a mosque run by al-Sadr loyalists in Musayyib, 40 miles south of Baghdad. The police officer said the nine killed included a woman who was begging nearby. Dr. Saad al-Janabi confirmed the casualty toll, saying 15 people also were wounded. #1: Three policemen were wounded on Friday in a bomb explosion in central Dalouiya district in Salah el-Din province, a police source said. “Three policemen were wounded when an improvised explosive device went off targeting them in al-Jubur neighborhood in central Dalouiya,” Major Ali Hassan Abdullah told Aswat al-Iraq. #1: Unknown gunmen in Afghanistan are reported to have shot dead a former Taliban spokesman, Abdul Haq Haqiq, also known as Dr. Hanif.The shooting occurred overnight on November 27 in the Chaparhar district of eastern Nangarhar Province.Chaparhar district police chief Saied Muhammad Pahlawan told an RFE/RL correspondent that three of Haqiq's cousins were also killed in the shooting. #2: Riots broke out in Kabul today after British soldiers opened fire on a minibus, leaving one civilian dead and three others wounded. Dozens of angry Afghans pelted police with stones before being chased down side streets. A senior officer later described the shooting as a 'misunderstanding'. 'The troops opened fire and killed one civilian and wounded three more. #3: An Afghan official says that the Taliban have killed 13 Afghan troops and captured 16 others after an ambush in a northwestern province. Abdul Ghani Sabri says seven Taliban were also killed during the battle in Bala Murghab district of Badghis province on Thursday night. Sabri is the deputy provincial governor. He says a group of 300 Taliban attacked a joint Afghan army and police convoy in Akazai village, sparking a clash which lasted for several hours. Sabri says 11 other Afghan troops were wounded. The Australian DoD is reporting the death of an Australian ISAF soldier from an IED attack in Oruzgan province, Afghanistan on Thursday, November 27th. Two additional soldiers were wounded in the attack. Here's the official ISAF statement. The British MoD is reporting the deaths of two British Marines during enemy fire to the north west of Lashkar Gah. Helmand Province on Thursday, November 27th. No additional details were released. Here's the ISAF statement. #1: A soldier was killed and three others were wounded when a roadside bomb detonated near their patrol in the al-Qahira neighborhood in northern Baghdad, the source told Xinhua on condition of anonymity. #2: In separate attack also on Thursday morning, a police commando officer was killed when a bomb planted in his car went off while he was on his way to work in Baghdad's southern neighborhood of Saydiyah, the source said. The explosive charge, which was of a magnetic kind badly damaged the victim's car, he added. #3: Meanwhile, six civilians were wounded by another roadside bomb explosion near the Maysaloon Square in eastern Baghdad, said the source. A civilian was killed and six more were wounded on Thursday in a bomb blast in eastern Baghdad, a police source said. “An explosive device went off in Mislon square in Baghdad al-Jadieda region in eastern Baghdad, killing a civilian and injuring six,” the source told Aswat al-Iraq. #4: One person was killed and 10 suspects were arrested during several security operations in different parts of Iraq throughout the past 24 hours, the Multi-National Force (MNF) said on Thursday. #1: Four civilians were wounded on Thursday in a suicide bomb attack in central Mosul, a source from the Ninewa operations command said. “A suicide bomber blew up an explosive belt strapped to his body, targeting a police vehicle patrol in al-Jomhouriya street in central Mosul, injuring four civilians,” the source told Aswat al-Iraq. #2: Two civilians on Thursday were killed, and 25 persons were wounded, in a second suicide bombing in Mosul city today, said a security source from Ninewa province’s police. “A car bomb driven by a suicide attacker targeted a police patrol, southern Mosul,” the source told Aswat al-Iraq. “15 policemen were among the injured,” he said. #1: A suicide car bomber targeting an American convoy exploded about 200 yards (meters) outside the U.S. Embassy in Kabul on Thursday, killing at least four Afghan bystanders as people entered the compound for a Thanksgiving Day race. Four Afghans at least 18 more people were wounded in the 8:30 a.m. attack, said Abdullah Fahim, a health ministry spokesman. Police officer Abdul Manan said the explosion was set off by a suicide bomber in a Toyota Corolla. No U.S. Embassy personnel were killed or injured in the blast, an Embassy statement said. #2: At least three persons were killed in a bomb blast in Pakistan's tribal area on Thursday, private TV channel SAMAA reported. A car was blown up when a remote-controlled bomb went off and three people were killed as a result in South Waziristan tribal region, said the report. Army Spc. Rick Yarosh, 26, of Windsor is grateful for being able to hold his cell phone two years after an explosion in Iraq blew off part of his thumb and burned 60 percent of his body. On Sept. 1, 2006, a Bradley armored vehicle Rick Yarosh was riding in struck an improvised explosive device just outside of Baghdad. Yarosh jumped out of the vehicle, shattering his right leg and severing an artery. His leg was later amputated below the knee. He rolled into a shallow canal to put out the flames on his skin but contracted cholera and a skin fungus from the contaminated water. Yarosh was flown back to the United States where he began treatment at Brooke Army Medical Center in San Antonio, Texas, including more than 30 surgeries. Over the past year, he has undergone four more surgeries, including one to widen the web space between his pointer finger and thumb. Another surgery installed tissue expanders in his shoulders so doctors could use the skin on his shoulders to replace the burned skin on his face. He developed an infection and had to have the tissue expanders removed. Master Sgt. Scott Beaupre, 37, trained undereducated Afghan police in the rigors of law enforcement, suffered a concussion from an improvised explosive. He was driving in the last of 12 vehicles in a convoy when an explosion ripped through his armored Humvee, injuring him and two others. David Battle was injured in Baghdad. A blast in December 2007 from an improvised explosive device took all of Battle’s limbs but his left arm. Army Spc. Michael Beck, 21, The staph infections from the 13 pins that brace his disfigured right leg have mostly subsided. He’s no longer tormented by the phantom pains that stabbed mysteriously through his left foot this summer after doctor’s amputated the leg from the shin down. And if all goes as planned, Beck might regain near-perfect vision in his left eye — formerly detached from his retina thanks to a burst of shrapnel — by the start of the new year. N.C. National Guardsmen with the Rocky Mount-based 1132nd Military Police Company who balked at the sound of a mortar alert on April 6 before diving for cover into a concrete bunker. Beck and Pickett turned toward the entrance of the shelter to close a Kevlar blanket designed to block shrapnel. They hadn’t even begun to lift their arms when the mortar shell exploded. Medics restarted Beck’s heart at least once that day. Sgt. Aaron Cox, 25, saw two tours of duty in Iraq where he was involved in more combat situations than he can remember. In several incidents, explosive devices detonated so close to him that he sustained what may be permanent injuries. on his last tour in Iraq he was part of a "quick response force" that accompanied a bomb disposal unit that dismantled roadside explosive devices. "I was hit with explosions four times, and the concussive force of the shock wave of the explosion can be very great," Cox said. "I suffered several brain concussions and some facial scarring." Cox said that while he knew he had sustained, "some damage," he didn't grasp just how much. "On our base we had a laundry place where I'd gone a hundred times, and one day I was walking to drop off my laundry bag but somehow I walked to the chow hall and waited in that line and someone said 'You can't bring laundry to the chow hall,' and I didn't know where I was," he said. "I was messed up." So messed up, as medical examinations revealed, Cox was sent to a military hospital in Germany and finally back to Camp LeJeune in North Carolina, where he has been undergoing treatment for the past year. Lost in translation: US-Iraqi security pact: US officials say key parts of status of forces agreement could be lost in translation. #1: Two civilians were killed and ten others wounded when a roadside bomb struck a sport utility vehicle (SUV), carrying employees from Baghdad provincial council, near the Firdus Square,in Karrada district, in central the capital" the source told Xinhua on condition of anonymity. Four of the employees were among the wounded people, the source said, adding the blast destroyed the vehicle and also caused damages to several nearby civilian cars. #2: In a separate incident, four policemen were injured by another roadside bomb explosion occurred near their vehicle in the Andulus Square in the same district, the source said. #3: Also in Karrada, two more civilians were injured in the day by another roadside bomb explosion in the Nithal Street in Karrada, he said. #4: Meanwhile, two police commando members were wounded when a third roadside bomb went off near their patrol in Baghdad northeastern district of Shaab, he added. #5: Tuesday Police found one unidentified body in south Baghdad. #6: A roadside bomb wounded five policemen when it struck their patrol in eastern Baghdad, police said. #7: Russia is accusing U.S. troops of running a car carrying Russian diplomats off the road in Baghdad. The Foreign Ministry tells ITAR-Tass and Interfax that three diplomats and some of their guards suffered bruises. The ministry says a group of U.S. armored personnel carriers overtook a convoy of three Russian embassy cars headed to the airport, according to Interfax. The ministry says one APC deliberately swerved into the lead Russian car, trying to push it off the road, the agencies reported. It says the car was severely damaged and almost overturned. #1: The U.S. military says a mass grave containing 23 bodies has been found in Iraq. The military says the bodies were found Wednesday in Diyala province northeast of Baghdad. It says the bodies in the grave appear to have been dead for 1 1/2 years. At that time, violence in the area was intense. #1: One Sahwa fighter was injured on Wednesday in a bomb explosion in central Baaquba, a police source said. “A roadside bomb went off targeting the headquarters of the National Dialogue bloc in central Baaquba, injuring one Sahwa fighter,” the source told Aswat al-Iraq. #1: One civilian was wounded when he came under gunmen’s fire in southern Kut, a source from Wassit province’s police said on Wednesday. “The attack took place in front of the victim’s house,” the source told Aswat al-Iraq. #1: In a separate discovery, Iraq's Rapid Intervention Force said they found the bodies of six recently killed people just southeast of the northern city of Samarra, the commander of the force for Samarra, Captain Muthana Shakir, told Reuters. #1: Police forces defused two roadside bombs and seized combat materials in al-Dhiloaiya, a source from the suburb’s police said on Wednesday. “One of the roadside bombs was planted at the entry-way of a judge’s house, while the other was found in the eastern side of the city,” Major Ali Hussein Abdullah told Aswat al-Iraq. “Police forces defused the two roadside bombs, and detonated the combat materials in a safe place,” he said, without adding further details. #1: Four elements of a security company were killed on Wednesday in a bomb blast near their convoy near Tikrit, a security source said. “A roadside bomb, planted on the road between Baiji and al-Sainiya, north of Tikrit, went off targeting a convoy of a security company, which is working with U.S. security forces, killing four elements and injuring another one,” the source told Aswat al-Iraq. “The blast set one of the convoy’s vehicles ablaze,” he added. “A U.S. military chopper landed on the area and evacuated the victims,” he also said. No word was immediately available from the U.S. army on the incident. #1: The number of attacks involving International Security Assistance Force (ISAF) in Helmand province, which is led by British troops, has reached record levels in the past three months, according to the latest official figures. In a written parliamentary reply, published Tuesday, Defense Secretary John Hutton said that the number of attacks reached 277 in August, 247 in September and 219 in October. In the previous nine months, direct engagement with insurgents averaged 137 per month, fluctuating between 92 and 207. Between October 2006 and August 2007, British soldiers in Afghanistan come under an average of 125 attacks per month. #2: Fifteen were killed in a raid early Wednesday in the southern province of Kandahar against a known "command and control" centre for bomb-makers, it said in a statement. Troops on the raid came under fire at the compound in the district of Zhari just west of Kandahar city, the statement said. "Coalition forces returned fire with small arms weapons killing 15 insurgents and detained six," it said. #3: Another operation on Tuesday targeted a senior Taliban commander in the eastern province of Paktya who was believed to liaise between Al-Qaeda and the Taliban, another statement said. Five militants were killed in a clash at the site, it said, without making clear if the commander was among the dead. #4: Five more were killed and four arrested in another raid Tuesday in the adjoining province of Paktika that targeted the radical Haqqani network, which is linked to Al-Qaeda. #5: Five policemen were killed by their colleagues suspected having links with Taliban militants on Wednesday in southern Afghan province of Helmand, an official said. Dawud Ahmadi, spokesman for provincial government said that it occurred at around 05:00 a.m. local time (0030 GMT) in Nad Ali district when a number of policemen suddenly opened fire at their colleagues in the squad killing five on the spot. "After first investigation, we found five policemen in that squad missing whom were suspected of spies of Taliban infiltrating into police forces," Ahmadi said. British Captain Kate Philp had her left leg amputated below the knee after the Warrior mini-tank she was commanding ran over a 50kg bomb in Afghanistan. The blast killed Gurkha Colour Sergeant Krishna Dura, 36, injured two other soldiers and left Capt Philp with a shattered leg. Army Spc. Kevin G. Moore was patrolling a rugged stretch of Afghanistan this time last year. On patrol two weeks later, insurgents shot a rocket-propelled grenade through his Humvee. Zipping across his lap and exploding into the engine compartment, the RPG laced hundreds of pieces of shrapnel into the Manchester native. Less than a year after nearly losing his legs, Moore plans to walk into his parents' house tonight. Her son did not almost just lose his legs in that ambush on Dec. 11, 2007 -- he was almost killed. And four months before that, he suffered a back injury when his Humvee hit an improvised explosive device. Marine Cpl. James Dixon was wounded twice in Iraq - by a roadside bomb and a land mine. He suffered a traumatic brain injury, a concussion, a dislocated hip and hearing loss. He was diagnosed with post-traumatic stress disorder. Army Sgt. Lori Meshell shattered a hip and crushed her back and knees while diving for cover during a mortar attack in . She has undergone a hip replacement and knee reconstruction and needs at least three more surgeries. Mark Olson, 19, a local Mar-ine serving in Iraq, re-ceived major head and neck injuries in a recent attack by a suicide bomber, and is presently at Bethesda Naval Hos-pital in Baltimore, Md. Specialist Alex Lozano, 21, on November 13, Lozano was shot in the back by a drive by shooter. His military police unit was setting up a security check point with Iraqi police. "He's doing good. He's starting to walk. He can talk," Greg said. The Washington Post is reporting the death of an American soldier from noncombat-related causes somewhere in Diyala Province on Monday, November 24th. No other details were released. The Washington Post is reporting the deaths of two U.S. soldiers in a small arms fire attack in Baaj, west of Mosul on Tuesday, November 24th. Vast U.S. Embassy in Baghdad: A monument to what? #1: A roadside bomb wounded two people on Palestine Street in eastern Baghdad, police said. #1: Police recovered bodies of two men with gunshot wounds and signs of torture from the Tigris river in the northern town of Suwayra, 50 km (30 miles) southeast of Baghdad, police said. #1: Two mortar bombs wounded six people on Monday when they landed on residential areas of Salman Pak, 30 km (20 miles) southeast of Baghdad, police said. #1: Six persons were killed or wounded during armed clashes that erupted between civilians and a group of armed men in Salah al-Din’s Dalouiya district, a police source said on Tuesday. “Clashes broke out between residents of Bishkan village, eastern Dalouiya, and Sahwa council fighters on the one hand, and a group of armed men on the other hand following yesterday’s abduction of a farmer,” the source told Aswat al-Iraq. “Two young men, including a brother of the kidnapped farmer, were killed and four others, including two Sahwa members, were wounded in the clashes,” the source noted. #1: Two people were killed and another four wounded on Tuesday when clashes erupted between residents and armed men suspected of belonging to al-Qaeda, a police source said. The clashes erupted between residents of the al-Ahrash district in the northern Sulaymaniyah province and gunmen. Town residents had accused the gunmen of kidnapping a local farmer. Two of the wounded belonged to the Sunni tribal Awakening councils, also known as sons of Iraq, who collaborated with the US in fighting against al-Qaeda militias, the source said. "The gunmen are known, they are al-Qaeda militias, who move along the al-Azzem river between Salahaddin province and Diyala," a relative of the kidnapped man told the Voices of Iraq (VOI) news agency. #1: Separately, gunmen wounded a 10-year-old child in the restive city of Mosul. The child was moved to hospital for treatment, VOI reported. #1: As many as 7 militants were killed and several others injured in an operation of security forces in Pakistan's tribal area on Tuesday, according to local media. Security forces pounded the militants' hideouts in Damadola, Badaan, Safray and Kaga areas of Tehsil Mamond in Bajaur tribal agency, the News Network International news agency reported. The British MoD is reporting the death of a British ISAF Marine from an explosion in the Kajaki area of Helmand province, Afghanistan on Monday, November 24th. No other details were released. Here's the ISAF statement. #1: In the first attack, a bomb attached to a bus used by the Trade Ministry to ferry employees to work exploded shortly before 8 a.m. in eastern Baghdad, police and hospital officials said on condition of anonymity because they were not authorized to speak to the media. Thirteen ministry employees were killed and three wounded, according to an official with the state-owned Iraqi shopping centers company who also spoke on condition of anonymity. The company is part of the Trade Ministry. The rush-hour attack happened in a Shiite area and the injured were taken to Kindi hospital in Baghdad. The U.S. military said 14 people were killed and four were injured in the 7:20 a.m. blast on the minibus. It said American soldiers assisted Iraqi police in securing the area and treating casualties. #2: About 45 minutes later, a female suicide bomber blew herself up as she stood in line to be searched at a checkpoint near the Green Zone in central Baghdad, killing seven people and wounding 13, according to an Interior Ministry official who declined to give his name. The U.S. military said the bombing near the Green Zone occurred between 8:30 a.m. and 9 a.m. and killed two Iraqi army members and three civilians. One civilian was injured, it said. An intelligence agency spokesperson on Monday said that the suicide bombing that rocked Baghdad’s heavily-fortified green zone earlier today targeted the agency’s building. “Two women working for the intelligence agency were among the dead,” the spokesperson told Aswat al-Iraq. #3: In a third attack, a roadside bomb targeted a police patrol around 10:30 a.m. near Technology University in eastern Baghdad, killing two civilians and wounding four other people, an Iraqi police officer and an official at Ibin al-Nafis hospital said on condition of anonymity. Two police officers were among the injured. #4: Security forces have managed to defuse a car bomb in downtown Baghdad’s al-Saadoun Street, according to eye witnesses. “Iraqi security forces sealed off the area and blocked the road for more than two hours to avoid casualties,” an eyewitness told Aswat al-Iraq. 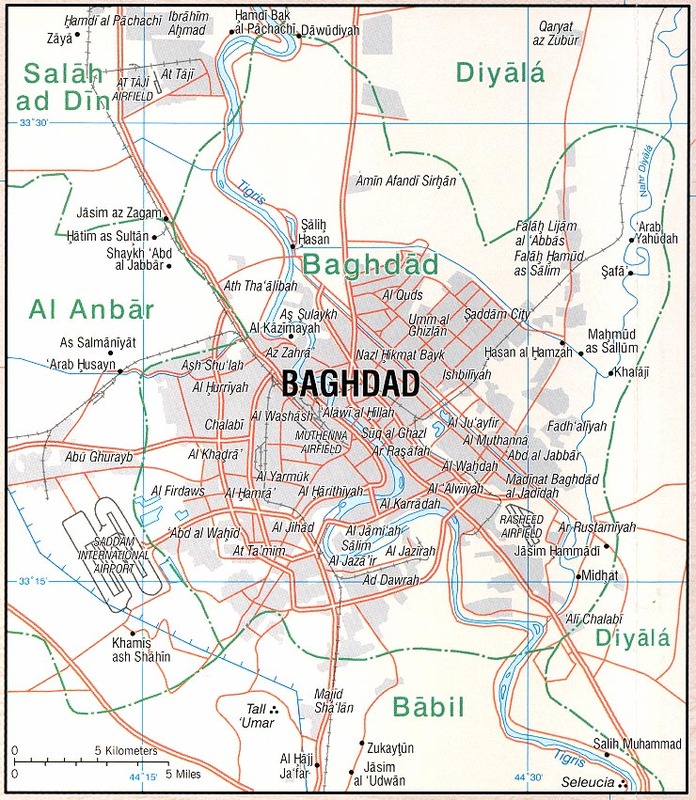 #5: A mortar hit Meda’in town ( south of Baghdad). Six people were wounded. #1: In Baqouba, 35 miles (60 kilometers) northeast of Baghdad, a policeman was killed when a roadside bomb blew up near his car, police said. #1: Gunmen killed three brothers in Thiaba village of Muqdadiyah town (east of Baquba) around 11 a m.
#1: A local-made bomb went off targeting a civilian car in al-Sidieq village in Dalouiya, east of Tikrit, injuring the driver,” the source told Aswat al-Iraq. #1: A lawyer was killed by unknown gunmen while he was heading to work in southwestern Kirkuk city, a local police chief said on Monday. #1: A policeman was killed in an attack by unidentified gunmen on his patrol in western Mosul city, a security source in Ninewa province said on Monday. “Unknown gunmen opened fire last night at a police patrol in the area of Qabr el-Bint, western Mosul, leaving one policeman killed,” the source told Aswat al-Iraq. #2: An Iraqi serviceman on Monday was wounded by random fire in southeastern Mosul city, a local security source said. “The soldier was among his fellow patrolmen in al-Intisar neighborhood when the incident took place,” the source told Aswat al-Iraq. The soldier suffered a minor injury, the source added, providing no further details. #3: A sniper killed a policeman in Borsa neighborhood in Mosul city. #4: Gunmen opened fire on policemen in Intisar neighborhood in Mosul city. One policeman was injured. #1: The US military claimed Monday to have killed seven Taliban militants in a clash in the southern province of Ghazni, while the Afghan defence ministry said their troops arrested two militants who were trying to plant a roadside bomb on a road in the eastern region. The militants were killed in Qarabagh district of the province on Sunday in a coalition forces operation that targeted a Taliban commander responsible for coordinating and directing roadside and suicide attacks in the province, the military said in a statement. #2: A remote-control bomb planted under a small bridge in north Kabul, capital of Afghanistan, went off, killing and injuring at least two people early Monday morning, spokesman of Interior Ministry Zamarai Bashari said. It occurred at around 8 a.m. local time (0430 GMT) when the bomb under the bridge suddenly went off in Kareez Mir area, northern Kabul, killing and wounded two people, Bashari told Xinhua. Sharri Regalado touches the casket of her late husband, Jose Regalado, at funeral services at Holy Cross Cemetery in Pomona, Calif., Saturday, Nov. 22, 2008. The Department of Defense reported that Sgt. Jose Regalado, 23, of Los Angeles, was one of two soldiers killed in Mosul, Iraq, when an Iraqi Army soldier wearing a uniform approached the men and opened fire on Nov. 12. Car bomb in al-Maghreb Street commercial district kills 1, injures 4. IED in Uqba Bin Nafi’ Square, Karada, injures 7. "Sticky bomb" attack injures 3 in Bab al-Muadham square near Palestine St.
Sticky bomb injures 2 in al-Yarmuk. IED injures 2 in Adhamiya. U.S. forces capture 11 people they claim are associated with Asa’ib Ahl al-Haq, a so-called "special group" the U.S. says has Iranian sponsorship. Security forces arrest 11 in a series of raids. Car bomb, apparently targeting an army patrol, injures 1 soldier and 6 civilians. Gunmen attack a police checkpoint just south of the city, injure 2 officers. Parliamentary vote on Status of Forces Agreement, originally scheduled for Monday, is delayed until Wednesday. Speaker Mahmoud al- Mashhadani now says chances of passage are "50/50". Mashadani makes a quick visit to Jordan, discusses the proposed pact with King Abdullah. Subsequent statement from the palace does not specifically indicate support for the SOFA, only that Jordan "fully supports Iraq's security, stability and unity." "It is everyone's responsibility to step up cooperation to supervise borders" with Iraq, Syria's Interior Minister Bassam Abdul Majid said in an opening speech. He called on participants to ensure that "Iraq will not be the point of departure for acts of aggression against its neighbours in any circumstances whatsoever." The minister said Syria's sovereignty was "gravely violated" by the October 26 attack of helicopter-borne American soldiers on a village near the border with Iraq. Damascus says the raid left eight civiliians dead, but an official in Washington said the raid targeted a "facilitator" of foreign fighters crossing the border from Syria to battle US and Iraqi forces. "Syria has always taken the necessary steps to supervise its border with Iraq... stability in Iraq is reflected in all countries of the region," Abdul Majid said. "Sovereignty and independence for Iraq... will only be achieved through the departure of foreign forces from its territory," he said. The large quantity of weapons and the timing of the shipment alarmed U.S. officials, who have grown concerned about the prospect of an armed confrontation between Iraqi Kurds and the government at a time when the Kurds are attempting to expand their control over parts of northern Iraq. The weapons arrived in the northern city of Sulaymaniyah in September on three C-130 cargo planes, according to the three officials, who spoke on the condition of anonymity because of the sensitivity of the information. Kurdish officials declined to answer questions about the shipments but released the following statement: "The Kurdistan Regional Government continues to be on the forefront of the war on terrorism in Iraq. With that continued threat, nothing in the constitution prevents the KRG from obtaining defense materials for its regional defense." U.S. claims to have killed 17 "militants" in a helicopter borne assault in Kandahar. Convoy carrying equipment for NATO forces in Afghanistan is attacked in Khyber region of Pakistan. Roadside bomb injures 2. Al Jazeera reports that Taliban have announced the intention to escalate these attacks on NATO supply convoys, particularly within Afghanistan. AFP reports on various additional incidents. Coalition forces admit to killing 1 civilian, injuring 4 in a battle in Zabul, while also killing 2 "militants." Additionally, DPA reports 2 police killed, 3 injured by a roadside bomb in Ghazni. Iraq's defense minister Abdul Qadir Muhammed Jassim threatened to declare a state of emergency if Iraq's parliament refused to sign an accord allowing US troops to stay in the country for three more years. His rhetoric was eerily in tune with Bush Administration officials' comments on domestic security and Iran, echoing language used by the Administration to bolster support for the Iraq war. . . .Jassim was a general in Saddam Hussein's army who was demoted after opposing a 1980 invasion of Kuwait and spent several years in jail. Serving under Iraqi Prime Minister Nouri al-Maliki. His recent comments have suggested an unusual sycophancy toward US policy and General David Petraeus in particular. The French MoD is reporting the death of a French ISAF soldier from a mine explosion near the Darulaman camp south of Kabul, Afghanistan on Saturday, November 22nd. One additional soldier was wounded in the attack. Do you know a severely injured vet who need a home? West Orange Habitat for Humanity is looking for a severely injured combat veteran or a vet's widow to move into a planned second "Home at Last" house. Staying Power: Wounded Marines Ordered to do Their Part to Recover: To date, more than 6,600 Marines have received Purple Hearts since the start of Operation Iraqi Freedom. About 1,200 are seriously injured and still on active duty in various stages of their recovery. Baronie is one of the Marine Corps' nearly 3,000 injured who have returned to active duty. And he is not the only leader in the company who was injured in combat. #1: Police found a mass grave containing at least 10 decomposed bodies, including the bodies of two women, in Iskandariya, 40 km (25 miles) south of Baghdad, police said. #1: Gunmen killed a man in an attack on his car on Friday in Mahaweel, 60 km (35 miles) south of Baghdad, police said. #1: The landing gear of an MQ-1 Predator unmanned aircraft system collapsed after the aircraft landed about 6:45 a.m. Baghdad time Nov. 21 on the Joint Base Balad runway in Iraq. The extent of the damage is unknown at this time. The Predator is assigned to the 332nd Air Expeditionary Wing from Joint Base Balad. The aircraft's primary mission is interdiction and conducting armed reconnaissance against critical, perishable targets. #1: Two people have died and 15 others suffered injuries in a bomb blast in a market in the city of Khost in Afghanistan. The AFP news agency cites the province's intelligence chief Colonel Mohammed Yaqob as saying that a 15-year-old boy and a man lost their lives after a car exploded in the city's market. #2: The Taliban have killed a local district chief after keeping him for four months in their custody. The body of Mohammad Qhais Akmal, district chief of Marawara, Kunar province, was dumped in Sirkanay, Kunar, on Friday night. However, it is said that he was kidnapped by gang of kidnapers for ransom not for political reason but the officials attribute the event to Taliban. #3: A suspected U.S. missile strike killed five militants in a Taliban and al-Qaida stronghold in northwestern Pakistan on Saturday, officials said. There were unconfirmed reports that the dead included Rashid Rauf, a British suspect in a foiled plot to down trans-Atlantic jetliners who escaped from Pakistani custody last year. Saturday's strike occurred in the North Waziristan region, part of the tribal belt from where militants are supporting the growing insurgency in neighboring Afghanistan and a possible hiding place for al-Qaida chief Osama bin Laden. Two Pakistani intelligence officials, citing reports from their agents in the region, said the pre-dawn attack killed four foreign militants and a Pakistani. The officials said the targeted house in the village of Ali Khel belonged to a Pakistani Taliban commander named Khaliq Noor who was known to shelter foreign fighters. A third intelligence official in Islamabad said intercepted communications among militants indicated that Rauf was among those killed, but cautioned that government agents in the area had not seen his body. A senior Pakistani government official said spy agencies were seeking more evidence that Rauf was present. #4: Armed militants threw hand grenades at a wedding party in northern Afghanistan, killing eight people and injuring over 60 others, including a bride, a local governor said on Saturday. The incident occurred in the Totem Dara area, in the Parwan province, on Friday night, Abdul Jabbar Taqwa told journalists. He described the attack as "barbaric" but denied that it was a terrorist act. A provincial police chief, Khalilullah Zeyaee, said no one had been arrested. He added: "We think personal enmity could have been the cause of the attack." #5: Three policemen were killed and one injured Saturday when Islamic militants targeted a security check post in Pakistan's North Western Frontier Province, an official said. The attack took place at 3:45 am in the Lora area of Bannu district, about 200 kilometres south of the provincial capital, Peshawar. "Around two dozen or more Taliban besieged the post and fired several rockets at it," said a police officer Farid Khan. "Our officers offered tough resistance but they were outnumbered by the militants." #6: In another operation early Friday in Farah province, western Afghanistan, Afghan National Army (ANA) backed by Coalition forces eliminated four militants in the area, the statement said. "The combined forces were conducting a raid on a compound, targeting a Taliban commander in Dowlatabad village, Farah province, when they received fire from several enemy fighting positions," it said. "The combined forces quickly returned fire and also established a security perimeter to protect 30 children, 25 women and 34 other non-combatants in the area of the operation." "The exchange of fire resulted in the deaths of four enemy fighters who the local population confirmed were Taliban militants," it added. No ANA soldiers, Coalition forces or civilian casualties resulted from the operation, it further noted. #7: Moreover, Afghan National Security Forces (ANSF) and Coalition forces on Thursday killed 10 militants near highway in Nahr Surkh district of southern Afghanistan's Helmand province. "ANSF and Coalition forces were conducting a security patrol when they were attacked by militants with small-arms and machine-gun fire," it said. "ANSF and Coalition forces returned fire, killing 10 militants." One ANSF soldier was injured in the clash, it added. #8: Eight Canadian soldiers have been injured in Afghanistan after the armoured vehicle they were travelling in struck an improvised explosive device during a routine patrol Friday afternoon. The soldiers were on patrol in Kandahar's Arghandab District when the explosion occurred around 1 p.m. local time. Marine Capt. Ray Baronie was traveling in a convoy in Ramadi, Iraq, on Dec. 1, 2005 when an anti-tank round blasted his truck. Baronie's legs were shattered, his body cut and bloodied. His driver was killed. The truck rolled onto its side, and then he was shot at. But really hard times didn't hit until Baronie came back to the United States. Baronie's right leg was amputated above the knee. He lost major muscle from both legs. He can tap his thigh bone through the skin on the back of his left leg. He now walks with the help of a cane and a prosthetic right leg. Scars cover his arms. MNF-Iraq is reporting the death of A Multi-National Force – West Marine of a non-combat related incident somewhere in Al Anbar province on Wednesday, November 19th. No other details were released. MNF-Iraq is reporting the death of A Multi-National Force – Center Soldier of a non-combat related incident somewhere in Iraq on Thursday, November 20th. No other details were released. MNF-Iraq is reporting the death of A Multi-National Force – North Soldier of a non-combat related incident in Mosul on Friday, November 21th. No other details were released. #1: Three civilians were killed and 15 people, including three policemen, injured when a roadside bomb detonated near a police checkpoint in the Doura district in southern Baghdad, the source told Xinhua on condition of anonymity. #2: In a separate incident, another roadside bomb went off near an Iraqi army dismounted patrol near the al-Zarzoor restaurant in Baghdad western district of Mansour, wounding two soldiers and two civilians, the source said. #1: An IED emplaced under the vehicle of a local resident went off in Shoqaq al-Ghaz, eastern Kirkuk, but left no casualties,” Brig. Sarhad Qader, the chief of the Kirkuk Districts’ Police Department, told Aswat al-Iraq. #2: “In al-Ihtifalat square, southwest of Kirkuk, a mortar shell was fired but left no casualties either,” Qader said. #1: A truck bomb driven by a suicide bomber targeted a checkpoint manned by Iraqi Army in Thawra neighbourhood, downtown Mosul at 8.30 p.m. Thursday, injuring thirty six people including six soldiers and causing severe material damages to surrounding buildings and civilian cars. 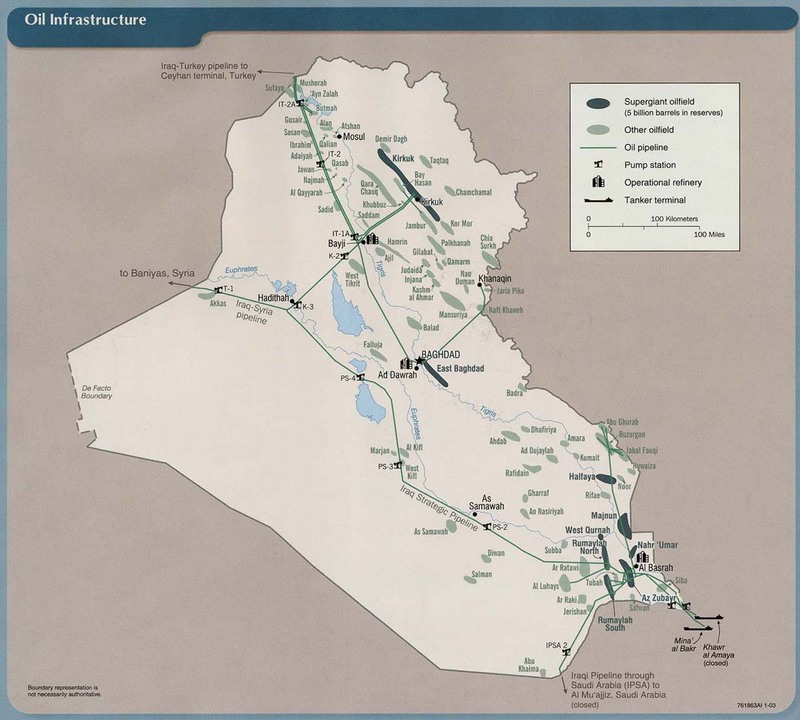 #1: Unknown assailants launched an attack on the Kirkuk-Ceyhan pipeline between Iraq and Turkey on Friday, triggering a large fire, broadcaster CNN Turk reported. No further details were immediately available. Separatist Kurdish guerrillas have carried out attacks on pipelines in Turkey in the past. #1: An MQ-1 Predator unmanned aircraft system was damaged at approximately 10:15 a.m. Nov. 20 at a base in southern Afghanistan. The aircraft is a medium-altitude, long-endurance, remotely piloted aircraft with a primary mission of conducting armed reconnaissance. A safety investigation board will be convened to investigate the incident. #2: A blast killed at least eight mourners Friday at the funeral of a Shiite cleric in northwestern Pakistan who was gunned down hours earlier, police said. At least 28 others were wounded. The victims were attending the funeral of cleric Allama Nazir Shah Naqvi, who was fatally shot earlier Friday, Marwat said, adding it was not yet clear if the blast was from a hidden explosive device, a grenade or a suicide bomber. Eight bodies were taken to a local hospital where 28 people wounded in the attack were being treated, including some in critical condition, Dr. Farid Mehsud said. #3: Also in the border region, a suicide bomber late Thursday attacked a mosque where government-backed anti-militant tribesman were praying, killing eight, including the head of the group, officials said. #4: The U.S. military says Afghan and coalition forces killed four militants in a firefight north of Kabul. A military statement says the fighting broke out when troops from the U.S.-led coalition were searching a compound associated with Hizb-e-Islami, an Islamic faction led by warlord Gulbuddin Hekmatyar. The statement says people barricaded in the compound fired on the troops. Coalition and Afghan forces returned fire -- killing four people and capturing three others. The clash occurred in northern Kapisa province's Tagab district. Provincial Police Chief Matyullah Safi confirmed the four deaths and that they were members of Hizb-e-Islami. #5: Australia's new training team in Afghanistan fought Taliban insurgents four times in the last month, including repelling an attack against a remote patrol base manned by Australian and Afghan troops. In one contact, Taliban forces opened fire with small arms and rocket-propelled grenades (RPGs) but withdrew after a 20-minute exchange of fire. In another incident, a patrol came under Taliban fire but withdrew to remove the risk of injuring local civilians. "Last weekend, Taliban insurgents launched an attack against a patrol base manned by Australian and ANA soldiers," Air Chief Marshal Houston said. "Rockets and small-arms fire were fired at the patrol base. The insurgent attack was met with a professional and well coordinated response, including small-arms fire from the Australian and Afghan soldiers, mortar and artillery support." In the most recent attack on Tuesday, insurgents fired on an Australian and Afghan patrol before quickly withdrawing. #6: Pakistani soldiers practised shooting at pilotless "drone" aircraft on Friday, the military said a day after the government lodged a protest with the U.S. ambassador over drone missile strikes in Pakistani territory. Anti-aircraft guns and short-range surface-to-air missiles were used during the exercise conducted at a desert range near the city of Muzaffargarh in the central Pubjab province. #7: Three civilians were killed and four Afghan soldiers were wounded Friday when a suicide car bomb exploded in front of an army base in southern Afghanistan, officials said. The blast occurred in Shahjoy district of Zabul province, provincial vice governor Gulab Shah Alikhil said. "The driver of a vehicle blew himself up in front of the (Afghan army) base, killing three civilians who were employees queuing to enter. Four soldiers were also wounded in the explosion," he said. U.S. Marine Staff Sergeant Ian LeJeune on Feb. 23, 2005, while serving my third combat tour in Iraq, my living quarters were directly hit by an enemy launched 9-foot rocket. I sustained the following injuries when the rocket exploded not more than 15 feet from where I was sleeping: Open fractures right tibia, open fractures left fibula, open fractures first/second/third left metatarsal, severed left Achilles tendon, severed third toe-right foot, 17.5 percent second- and third-degree burns total body and primarily lower extremities, severe nerve damage-lower extremities and too many metal shrapnel lacerations to list. I have had more than 17 surgeries to date that include: Burn debridement, skin grafts, infected tissue removal, Achilles tendon repair-soleus flap (part of my calf muscle was placed over the tendon repair site), internal fixation, first/second/third metatarsal left foot (fusion due to severely damaged bone), internal fixation-right tibia and traumatic amputation-right third toe. I was awake to see myself in a state of disrepair that has left a mental image and scar that is irreversible, but not according to the VA: this type of incident should not cause that much of a problem. British Cpl Stu Hefi, 26, has spent six months at the facility after he was shot in the leg during an operation with 1 Squadron RAF Regiment, in Basra, in August last year.Cpl Hefi, a gunner from RAF Honington, said: "I thought I could lose my leg or even lose my life. Denita Hartfield, 34, survived a roadside bomb attack in Iraq in 2005 that has caused traumatic brain injury. After spending a year in a military hospital in Kansas recovering from her combat wounds, she was honorably discharged as a sergeant first class from the Army with medical retirement. The Los Angeles native relocated to Bakersfield, where grandmother lives. Capt. Adrian Perez was injured during a patrol by an Improvised Explosive Device that left him partially blind and with wounds to his shoulders and back, Perez was evacuated first to a hospital in Mosul, then to Landsthul, Germany, and finally ended up at Walter Reed Army Medical Center in Washington. #1: Wednesday Police found one dead body in Nasr neighborhood in Karkh bank in Baghdad today. #2: A bomb attached to a car belonging to presidential guards wounded three of the guards in central Baghdad's Karrada district, police said. #1: An Iraqi army officer was killed and a soldier was injured on Thursday while an attempt to defuse a bomb in Diala, a local official said. “An Iraqi army officer was killed and a soldier was injured when a bomb exploded while trying to defuse it near al-Saadiya district garage in northeast of Diala,” Aamer Refaat, member of the security committee of the Diala provincial council, told Aswat al-Iraq. #1: Police found the body of a woman with gun shot wounds in the town of Shwan, near Kirkuk, 250 km (155 miles) north of Baghdad, police said. #1: Six militants were killed and three villagers wounded on Wednesday during clashes between a local U.S.-backed neighbourhood patrol and militants in a village near the town of Dour, 150 km (95 miles) north of Baghdad, police said. #1: Police forces on Thursday found five unidentified bodies in southwestern Ninewa, a police source said. “The bodies of five people, including two women, were found by policemen in Tal Abta district in al-Hadar district, southwest of Mosul,” the source told Aswat al-Iraq.“The bodies bore signs of gunshot wounds to the different parts of the bodies,” he added. “The corpses were found inside a civilian vehicle,” he highlighted, noting that the bodies were sent to the forensic medicine department. #1: A suicide car bomber attacked a NATO base in eastern Afghanistan Thursday, inflicting some casualties, a NATO force spokeswoman said. "We have ISAF casualties, but we don't know how many," said the spokeswoman, referring to NATO's International Security Assistance Force. The bomber blew himself up at the gate of the base, an Afghan district official in Khost province said. A suicide bomber attacked a NATO base in eastern Afghanistan Thursday, wounding two NATO soldiers and four Afghan nationals. The bomber attacked a NATO-led International Security Assistance Force (ISAF) base in the Sabari district of the south-eastern province of Khost, an ISAF spokesman said. The spokesman, who requested anonymity, said two ISAF soldiers and four Afghan nationals were wounded in the attack but did not say whether the wounded Afghans were also security personnel. #2: Meanwhile, Taliban militants ambushed a convoy Thursday in which the Gilan district governor of southern Ghazni province was travelling, sparking a fierce battle with security personnel escorting the convoy, said Sayed Ismail Jahangir, spokesman for the provincial governor. He said the district governor was unharmed but nine attackers, including their local commander, were killed. The security forces seized several motorbikes and weapons from the insurgents, he said, adding no Afghan police forces were killed in the gunbattle. #3: At least 24 Islamic militants, including al-Qaeda-linked Uzbek fighters, were killed as Pakistani jets and artillery pounded their hideouts in the restive north-western tribal district of Bajaur, an intelligence official said Thursday. The shelling that started late Wednesday and continued Thursday in four areas of the district, which borders Afghanistan, also destroyed half a dozen bunkers and an ammunition depot belonging to the militants, the Pakistani official said. #4: Suicide car bombing targeting compound of district government in eastern Afghan province of Khost killed one policeman and injured seven more on Thursday, said an official. Lutfullah Khan, the district chief of Duanandal, told Xinhua that it occurred at around 3:30 p.m. (1100 GMT) when the bomber drove a car laden with explosive material and blew himself up near the district compound, leaving one policeman dead and seven others wounded. India: Pirate 'mother ship' left in flames: An Indian warship has exchanged fire with a pirate "mother vessel" off the hijacking-plagued Horn of Africa, leaving the ship ablaze in the Gulf of Aden, an official said Wednesday. 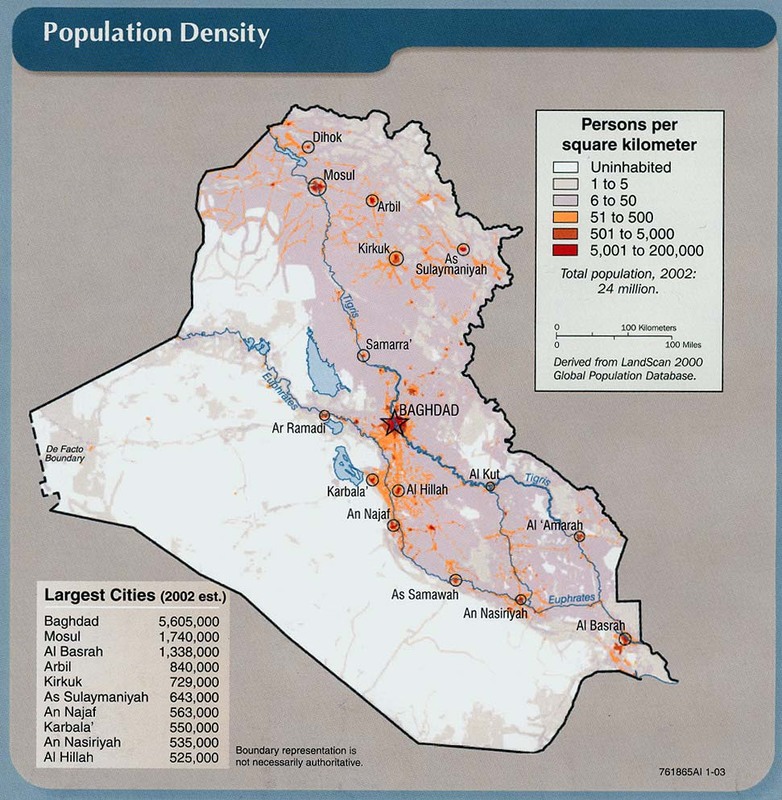 #1: Five persons were wounded on Wednesday when an improvised explosive device went off in central Baghdad, a police source said. 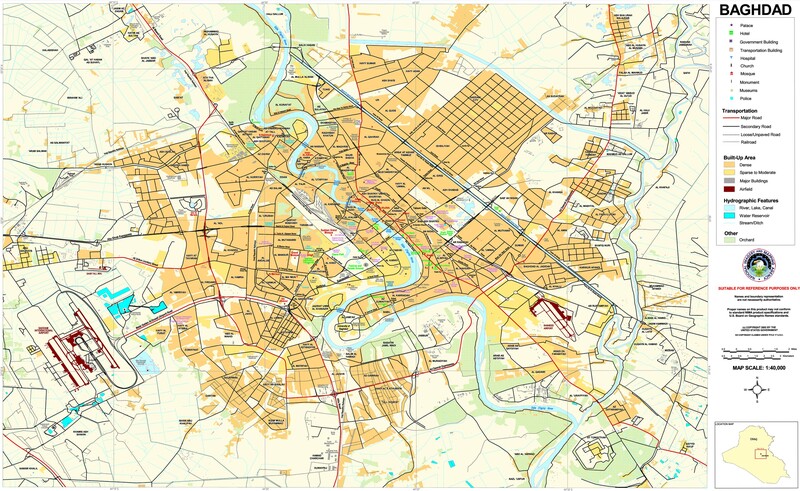 “The bomb was detonated near Sahet Uqba bin Nafeaa in central Baghdad, injuring five,” the source told Aswat al-Iraq. Two roadside bombs detonated near the liquors’ shops at Uqba bin Nafia intersection in Karrada neighborhood. Five people were injured with some damages to two shops. #2: The Iraqi army killed 3 suspected militants and detained 23 others in different parts of Iraq during the past 24 hours, the defense ministry said in a statement. #3: Police found one dead body in Nasr neighborhood in Karkh bank in Baghdad today. #1: Joint Iraqi-U.S. forces on Wednesday arrested an officer of the former Iraqi army and injured two of his relatives in north of Diwaniya, a police source said. “Joint Iraqi-U.S. forces raided at dawn the house of an office of the former Iraqi army in north of Diwaniya city,” the source told Aswat al-Iraq. “The forces arrested the officer and injured two of his relatives during a shootout,” he added. No word was immediately available from the U.S. army on the incident. #1: Five al Qaida members were killed and one American-backed Sunni paramilitary member was injured in clashes that took place in Al-Milih area (about 18 miles northeast Samarra). #2: A magnetic bomb detonated under a police officer's car in Samarra city. The officer was killed. #1: Policemen on Wednesday found an unknown female body in north of Kirkuk, the chief of the local police said. “Police forces found a body of an unidentified woman in Siyosor region in Shiwan district, north of Kirkuk,” Brigadier Sarhad Qader told Aswat al-Iraq. “The body bore signs of five gunshot wounds,” he added. #1: An Iraqi army soldier was injured on Wednesday in a roadside bomb explosion in western Mosul, a police source said. “An explosive charge went off targeting an Iraqi army vehicle patrol in 17 Tamouz neighborhood in western Mosul, injuring a soldier,” the source told Aswat al-Iraq, noting that the soldier was rushed to a nearby hospital for treatment. #2: Two policemen were wounded on Wednesday in a suicide car bomb explosion in eastern Mosul, a police source said. “A suicide bomber blew up a car crammed with explosives targeting a police vehicle patrol in Kokegli region in eastern Mosul, injuring two policemen, who rushed to a nearby hospital for treatment,” the source told Aswat al-Iraq. He did not give more details. #1: A missile strike by a suspected US drone killed at least five people including foreigners in northwest Pakistan near the Afghan border, security officials said on Wednesday. The attack marked the first US missile strike outside of the rugged tribal regions which have become safe havens for militants linked to Taliban and Al-Qaeda, one Pakistani security official said. The house targeted was located in northwestern Bannu district, on the border of the tribal territory, he said. According to local officials, at least seven people were wounded. #2: At least five Taliban militants were killed when Pakistani artillery pounded their hideouts through the night in a restive tribal region near the Afghanistan border, local administration official Mohammad Jamil told AFP. The clashes took place in the Mamoon and Nawagai areas in Bajaur tribal regions where the military launched the operation against Taliban and Al-Qaeda linked militants in August. "Troops fired artillery on militant hideouts and underground bunkers Tuesday night, killing five rebels and wounding three others," Jamil said. #3: Three Czech soldiers were injured in the Afghan province Logar Tuesday when their vehicle drove over a home-made bomb, the Czech general staff told CTK. In the morning one of the American Humvees that was part of the Czech Provincial Reconstruction Team (PRT) convoy drove over an improvised explosive system and the front of the vehicle was damaged in the explosion. Three soldiers in the car suffered bruises and lacerations, Jana Ruzickova from the general staff said. Army Sgt. Chris Alvin was in the lead vehicle of a four-vehicle convoy when it was struck less than a half mile from the forward operating base. I didn't hear an explosion. Our vehicle was just crushed. We were hit by a triple charge; three different charges of an EFP [explosively formed penetrator]." Burrell added that the third charge is what took off his leg. "All of them were on my side of the vehicle, came in between the front wheel well and the doorframe where there's no armor at all," he said. ""It came in at an angle, and you could see from the pictures where it came through. It came through at an angle, it just took off my knee, and went directly straight up through the roof." Army Staff Sgt. Ralph Franklin “Frankie” Steward Jr., 37, lost his right leg from the knee down, injured his left leg, shattered bones in both arms and suffered a bruised lung and damage to his right eye, according to his aunt, Carolyn Goins. on Nov. 9, Steward and two other Army soldiers from the 1st Stryker Brigade Combat Team, 25th Infantry Division, were on patrol in Mullayah, northeast of Baghdad, when they entered a home containing a concealed explosive device that detonated.